I want to be the broken telephone Rick calls his dead wife on! 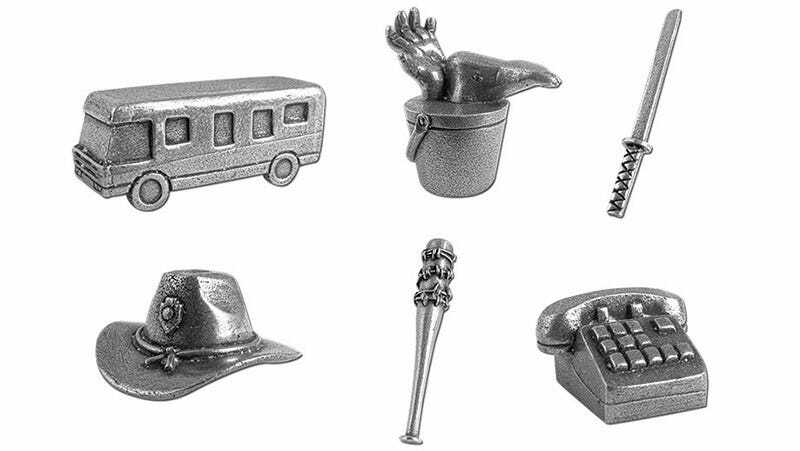 The Walking Dead edition of Monopoly is actually kind of brilliant. Available over at ThinkGeek, the undead twist on the classic board game has you buying up land, batteries and other end-of-the-world supplies. Then, after you've bartered, killed and grabbed any property you can, the next move is to fortify each space, keeping it save from Walkers. It's supe- cute, especially the playing pieces which include Michonne's katana, Rick's hat, the RV, Lucille (the bat), a telephone, and a bucket of body parts. What, no severed hand?